Thanks to the wonderful folks at Sweet Preservation.com and the Washington State Fruit Commission, a large, gorgeous box of fuzzy, juicy peaches showed up at our doorstep. 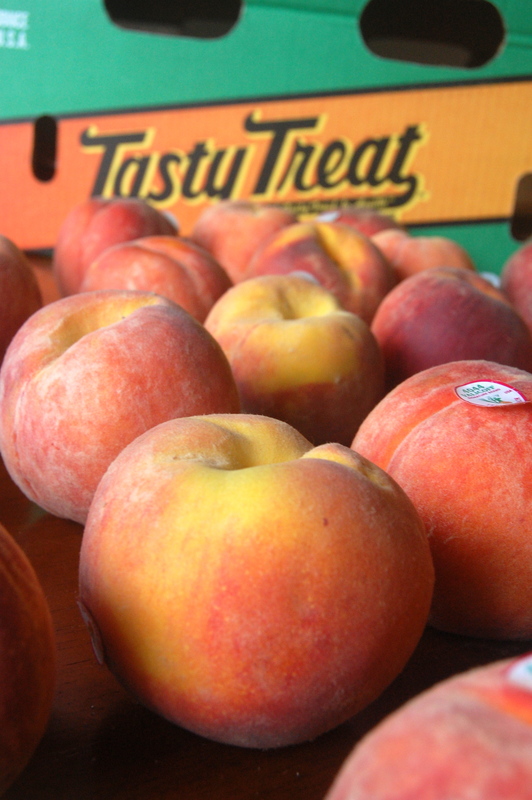 These peaches had us drooling and ready to can. We decided to use these Northwestern grown beauties to create an Almond Peach Butter. 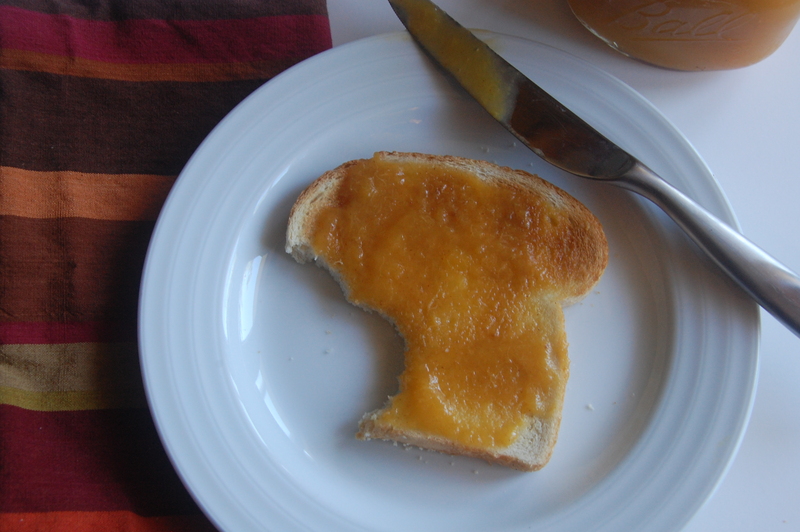 Pure in its peach form, a peach butter does not, in fact, include butter. Peaches are cooked down to a smooth form and lightly sweetened, preserving the delicate flavors of the fruit. This butter is a great concoction to can. For canning and preserving tips, click to our Preserving and Canning 101 link. If you do not have the resources, space or time to can, you can shrink this recipe down and toss the butter in a jar or container. It will keep in the refrigerator for 2-3 weeks. Wash, peel and cut peaches into chunks. Put in large stock pot and add water. Heat until peaches are very soft, about 20 minutes. Using an immersion blender (or a food processor or blender if you don’t have an immersion blender), blend the peaches to a smooth consistency. Add sugar and almond extract and simmer for 50-60 minutes, stirring every five minutes or so to make sure nothing sticks to the bottom. When the mixture is done, it will remain rounded on top of the spoon for a minute. You can also drizzle a line of the peach butter across the top of the pot. The line of mixture should keep it’s form. You can choose the thickness depending upon your liking. 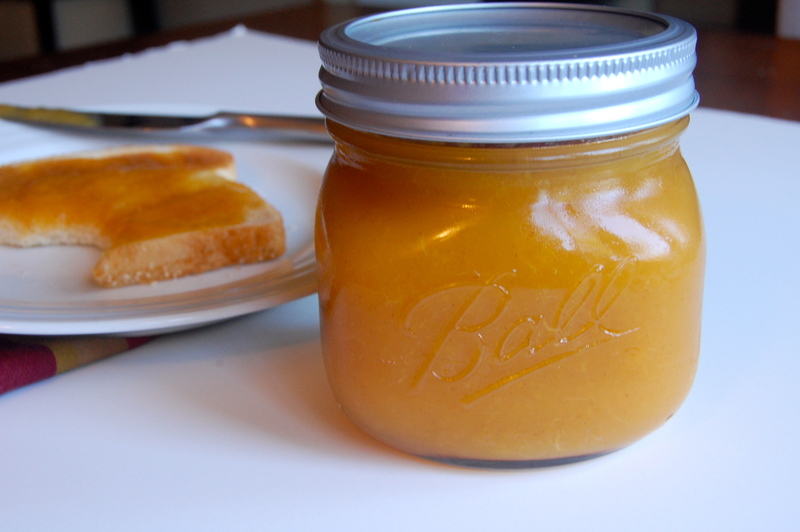 If you are canning, immediately divide the peach butter amongst the jars and follow your canning instructions. If you are not preserving, allow to cool before placing in a jar or container and refrigerate. This Almond Peach Butter is delicious on toast, an english muffin or a scone. It is a great addition to oatmeal, making it taste like a little bowl of peach cobbler. It is also a great J for a PBJ. We are also experimenting with sandwich spread, bars and other treats!